According to a recent study by the Insurance Research Council, approximately 10% of drivers in Georgia are completely uninsured. Based on my experience handling personal injury claims for injured negligence victims, I can tell you that the number of UNDERinsured drivers in Georgia is probably closer to 50%. What can you do to protect yourself and your family? 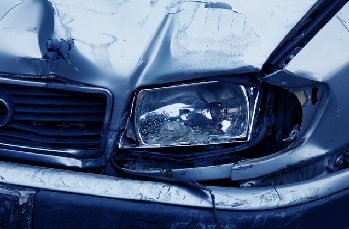 Uninsured Motorist (“UM”) coverage protects you and any passengers in your car if you’ve suffered injuries from an uninsured or unknown driver, or if the negligent driver doesn’t have enough insurance. Every insurer is required to offer you the opportunity to purchase UM coverage when you get an insurance policy on your car. You should purchase as much as you can afford. By law, you’re entitled to purchase UM coverage up to the amount of your liability coverage. UM coverage is also available as part of Umbrella policies. If you have enough wealth that you have purchased an Umbrella policy to protect your assets, you surely can afford to pay a little bit more to protect yourself and your family. I’ve had too many conversations with injured victims and their families where I had to explain to them that there’s nothing that can be done in the absence of sufficient policy limits. Nobody can control the amount of coverage that someone else has on their car. The only thing you can control is the coverage that you have for you and your family. Don’t be careless, get UM coverage and get a lot. Like most insurance coverage, you hope that you never need it, but you’ll be glad it’s there if you need to use it. For more information on UM coverage or any issue related to personal injury claims or auto insurance in general, email The People’s Lawyer at Bruce@Hagen-Law.com.